Although the database is titled “Plants of Louisiana”, it contains many, many of the plants found in Greater Houston, the plants of the coastal prairie habitat. This database is searchable by scientific name or common name or PLANT CHARACTER. This last would be useful to identify a plant. Information on individual plants include features that will help identify the plant such as height, leaf shape, leaf margin, bloom time… as well as propagation and cultural information and wildlife usage and so much more. Della, a past board member of the Citizens’ Environmental Coalition, represented NPAT at CEC’s Earth Day Houston -Discovery Green Celebration recently. She drew a steady crowd with her seed ball making activity. Della commented that both young and old like to get their hands dirty. Della has been involved in environmental education for many years. She has her own company, Earth Voice that conducts interactive group programs about our ecosystems and managing natural resources. She has a B.S. and M.S. from Texas A&M, is a Galveston Bay Area Master Naturalist, has developed curriculum as a middle school science teacher, was Education Director for the Galveston Bay Foundation and other non-profits. Thanks to Shell’s generosity, Della as DPP’s Director of Education will tremendously benefit local area teachers and their students. It is with a very heavy heart that I write to you today. Our friend Flo Hannah lost her battle with cancer this afternoon. She fought until the end. Flo was a wonderful advocate for nature and and even better friend and mentor. Her spirit, vision, passion, and smile will be sorely missed by all of us. I will await word from the family about funeral arrangements and will let you know as we know more. I also wanted to let each of you know how much you mean to the rest of us and how much your friendship and support mean to one another. In many ways we are like a family and the lost of any of us is deeply felt. 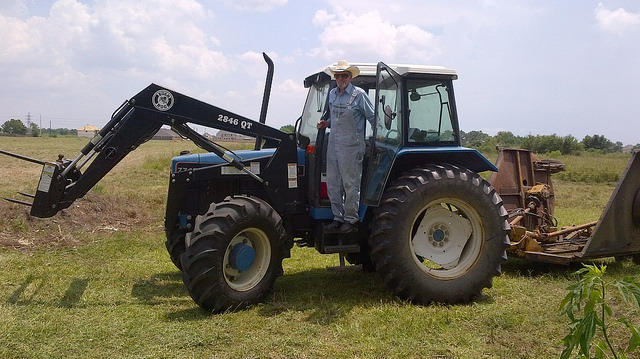 Flo Hannah of Houston Audubon Society (HAS) and Native Plant Society of Texas – Houston (NPSOTH) was a giant in our local prairie, native plant, and conservation community. Directly and indirectly, she was responsible for saving the Deer Park Prairie and the Nash Prairie among many other lands that she helped preserve through her work at Houston Audubon. In one of my earliest encounters with Flo, who was then NPSOTH Field Trip Coordinator, she and Dr. Larry Brown led us to an area in Fort Bend or Brazoria County that HAS had just conserved. 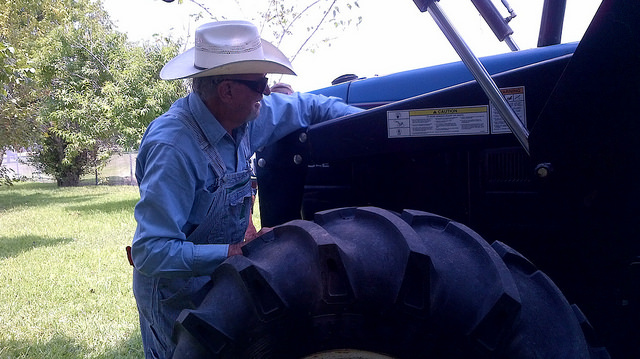 Flo was especially passionate about our native grasses and was an expert in that subject. She knew that these grasses and other native plants provided much needed habitat and food for many birds. She was one of the first, if not the first person in greater Houston to collect seeds of local native grasses, grew them, and started a business in back of her house to sell them commercially, in order to provide a much needed source for local restoration projects. Then she expanded the effort by creating the Houston Audubon’s Natives Nursery at Edith L. Moore Sanctuary with volunteer labor. Katy Emde reminisced that back in the day, she and Flo talked about gathering local native seeds and growing native plants to sell, but Flo was the one who actually did it. Flo was not only passionate herself about our local natives and habitats, but she taught and inspired others around her to be passionate too. She led and we followed. 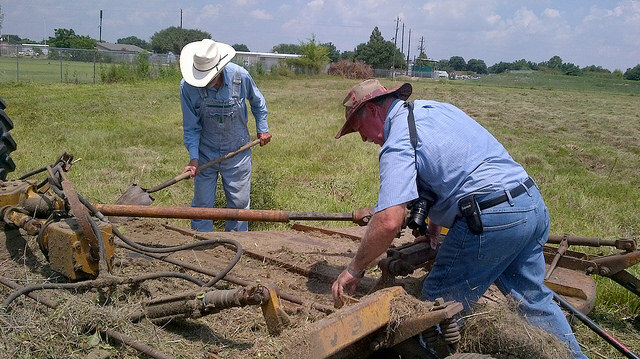 When she realized that a rare prairie remnant on Saums Road (near Greenhouse) was to be sold and turned into a flood control detention basin, she – in the middle of August – motivated volunteers from HAS, NPSOTH, and Texas Master Naturalists to rescue (dig up) and replant the native plants from that site to various pocket prairies throughout greater Houston. Moreover, she convinced Harris County Flood Control to use heavy equipment to move larger sections of that prairie remnant to Harris County Parks and the pocket prairie on Brays Bayou at South Braeswood near Buffalo Speedway. Through the years, Flo motivated volunteers to participate in her pocket prairie workdays, Horseshoe Marsh restoration workdays, rescue of Willow Waterhole plants and many other projects. 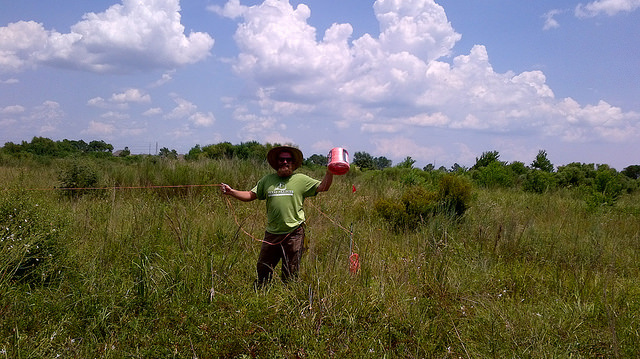 Jaime Gonzalez has told the story many times of how from the agony of losing the incomparable Saums Prairie, he and Flo formed the Coastal Prairie Partnership (CPP) to promote our local prairies. Flo was for many years on the board of CPP (as well as that of NPSOTH). Because of the agony of losing Saums Prairie, Flo was instrumental in the saving of the Lawther – Deer Park Prairie Preserve. Shortly after she and Don Verser first visited the property that is now Deer Park Prairie, many of us prairie enthusiasts were gearing up to rescue plants from that land, which was to be developed. However, Flo said that she wanted to meet the landowner and find out what it would take to preserve that prairie. Without that initial act, the platinum quality Deer Park Prairie would now have been a development with 200 houses. Then, when she found out that the selling price was $4 millon, Flo and Jaime led the first effort to raise the purchase price, despite many people saying that it could not be done. Without Flo, the Nash Prairie might also not have been conserved. Flo gave many talks about prairie grasses especially in the early days, when perhaps hers were the few on that subject available. Grasses are hard to learn. I remembered the many times I sought out her talks in the hopes that eventually by repetition, I would understand and learn glume, lemma, palea, spiklets, florets… As I remember the story, Susan Conaty also attended one of Flo’s talks where she saw photos of local grasses and forbs and realized that a property of West Columbia’s St. Mary’s Episcopal Church that she and her husband Peter, the pastor, monitored had some of the same plants. She talked to Flo and discovered that some of Flo’s photos were of that exact property. That was the start of Susan and Peter’s passion for the Nash Prairie – a chance encounter with Flo that eventually led to the Conatys’ saving the Nash Prairie. These are only a few of Flo’s accomplishments which earned her the Coast Prairie Partnership’s 2017 Prairie Excellence Award at last November’s Prairie Stampede. A video of that presentation could be seen on youtube. These are just some recollections from my encounters with Flo and the people she influenced. Some stories were heard second hand, so if there are any inaccuracies, please let me know and I will correct them. Houston: Largest NWF Community Habitat! To mark this accomplishment, on April 18, 2017 at City Hall in the Council Chambers, Mayor Sylvester Turner proclaimed that day as Wildlife Habitat Day in the City of Houston. As shown in the above photo from HPARD facebook, many of the partners in this effort were present to celebrate, including HNPAT President, Kelly Shield, who was an HPARD intern. HPARD’s Natural Resources Management Program (NRMP) under Jed Aplaca (jed.aplaca@houstontx.gov) has done a wonderful job in making our city wildlife friendly. To be up-to-date on all NRMP programs, including its twice monthly plant propagation programs using volunteers at the City of Houston Greenhouse in Memorial Park, its plantings at city parks, and its free training classes, email Jed to get on the NRMP monthly email list. Join these activities and learn by doing! A vast majority of the plants propagated are prairie plants, so volunteering for the workdays enables learning about prairie plants from seed to maturity. Want to create an oasis in your space (yard, balcony…) for wildlife? Get certified as a NWF Wildlife Habitat. “Thank you for your interest in becoming recognized as having a Certified Texas Wildscape. Due to the lack of staff and a current hiring freeze our agency is not currently able process, review, and approve new “Texas Wildscapes” or “Best of Texas Backyard Habitat Certification” applications. Don’t get me started on what this state is wasting its money on! Top observed species in Greater Houston ~11 am, 4/15/17. See link below to access that page on iNaturalist.org. Scroll to bottom for explanation of event. 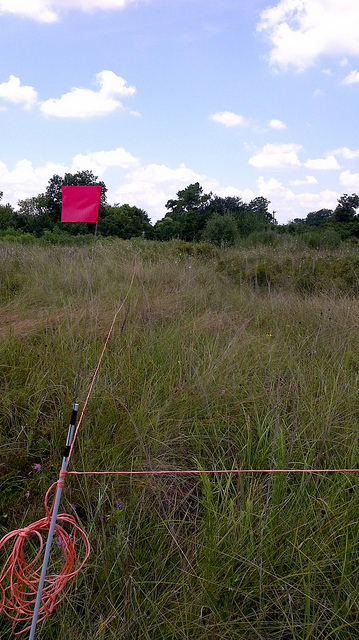 Latest on progress on City Nature Challenge at this TPWD link . See what are the most observed species in greater Houston at this iNaturalist link. We are way behind in number of observations, but ahead in species: 977 vs 903 vs 926 (greater Houston vs DFW vs Austin). Please make more observations, people, and keep posting different species. New event: Sunday, 4/16/17 at Galveston State Park: “Morning and afternoon are both options, depending on interest. Please respond ASAP if you’re considering coming. Transportation will be provided unless there are more than three of you. 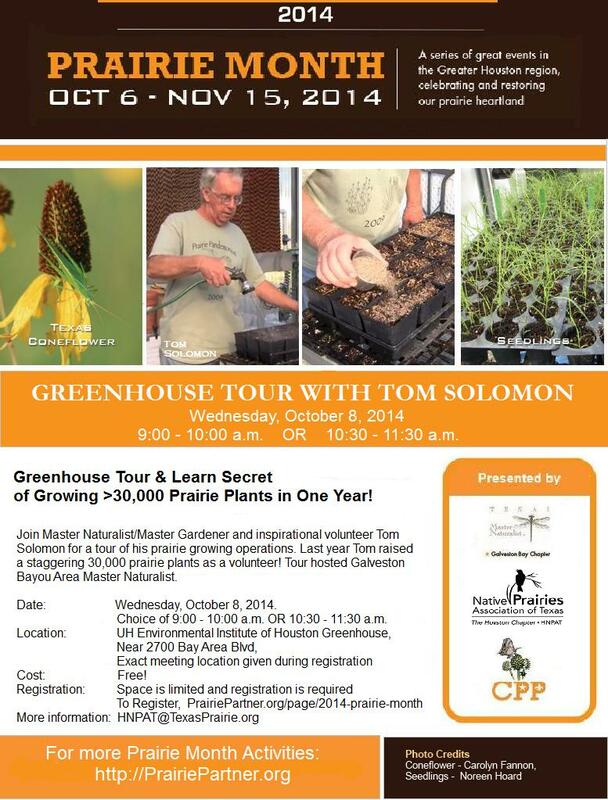 Contact jenn.drummond@txgcmn.org and/or Bob Romero, bob.romero@txgcmn.org.” That should help with the species count. Suggestions for center of city: Nature Discovery Center in Bellaire, Audubon’s Edith L Moore Sanctuary, walk along the various bayous (please note, the wildflower seedings should probably be categorized as cultivated), Memorial Park, Hermann Park. iNat Tip #1: If you don’t have lots of data on your plan or a wifi only tablet, first login to your iNat app; then turn off cellular; take photos using the camera or “observe” icon in iNat app; enter desired data on site or do everything at home; after each photo hit “next” (on my phone) and then either “share” or “save”; and then upload at home using wifi (or go to Starbucks, Panera….if you have a slow wifi at home). Try it out in your yard first. iNat Tip #2: Be sure to turn on your location and allow iNat to access your location. That way, you will automatically get the Lat, Long and don’t have to enter anything manually. Tons of opportunities are there for EVERYONE to be outside in nature at sometime in the next few days (between April 14-18). Go out on your own or join a group! Take some friends and/or young people with you! Please join Ian Kress, Glenn Merkord, and Lan Shen on Wednesday, September 3, 8:00 a.m. – ?? 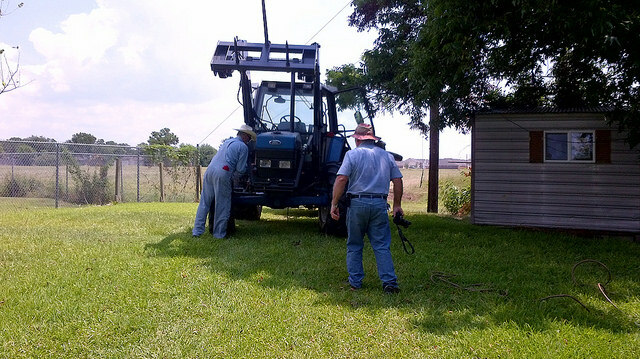 until it gets too hot (probably around noon or earlier) on a workday to cut and treat trees too big for the brush-hog. Ian and Glenn will both have chain saws. We also need people to help haul away what is cut. 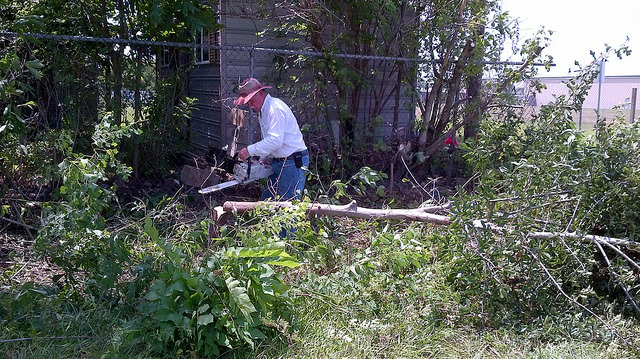 If anyone wants to come and do the same work on Saturday, August 30, 2014, please email Lan at HNPAT@TexasPrairie.org . 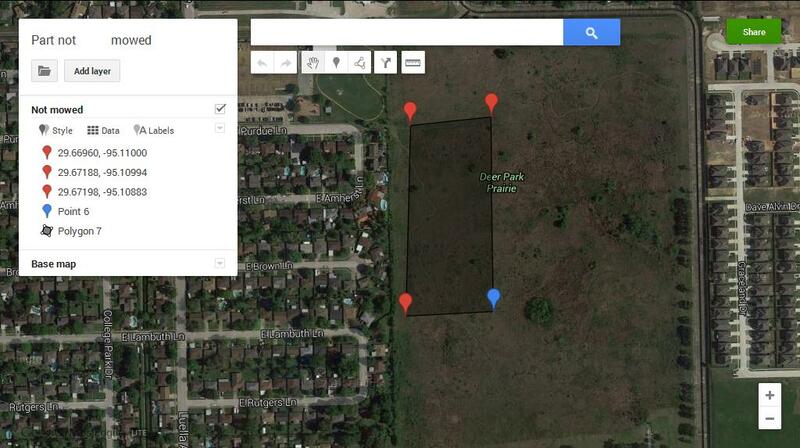 Location: Deer Park Prairie, 1222 E. Purdue Lane, Deer Park, Texas 77536. Please do not park in front of our neighbor’s houses. Extra parking is at the church, Primera Iglesia Bautista, 4316 Luella Ave, Deer Park, TX 77536 only about one long block from the house on the prairie. Deer Park Prairie Mowed! Come on Thursday, 8/28/14 to Hear Why! 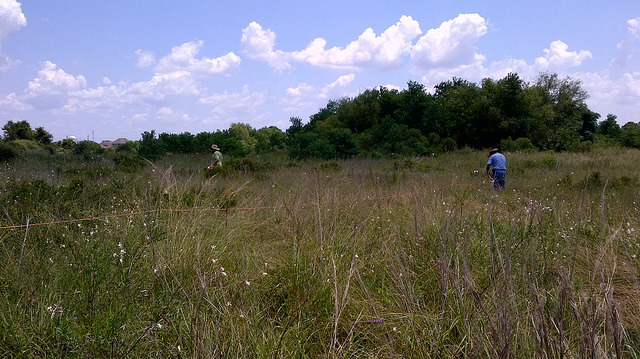 and learn from Pat Merkord, Executive Director of Native Prairies Association of Texas (NPAT) about how Deer Park Prairie will be managed and why mowed was critical to keep DPP a healthy prairie! Walk with Pat as she explains the Management Plan and points out what mowing accomplishes. The 7 acres left unmowed provides opportunities for photographs. Thanks to the law student volunteers who did extensive removal of woody plants in this section, it was in good enough condition to be left unmowed for the time being. After the walk, the meeting will move indoors for a surprise activity. Come early, 4:30 p.m. – 6:00 p.m. to the open board meeting and help us plan next year, when we will discuss dividing HNPAT meetings between Houston, Deer Park, and Fort Bend County. 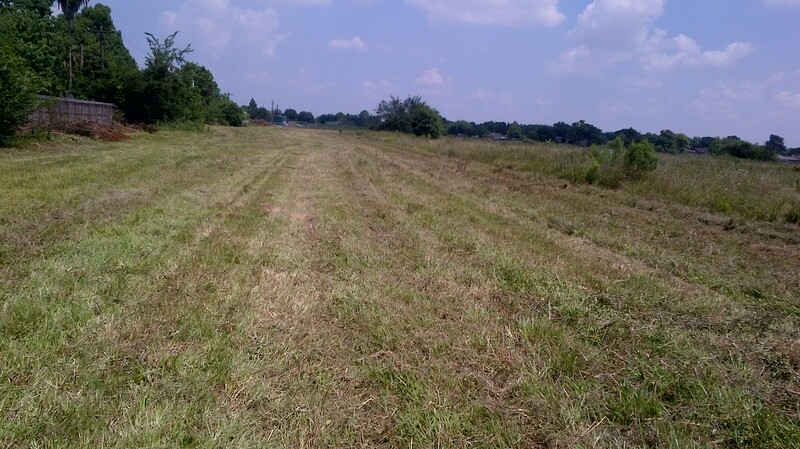 Below are photos of the prairie being mowed. Videos will be uploaded shortly as soon as I figure out how to get it off my tablet and onto youtube. For more and larger resolution photos go in about a week (need to upload) to our Flickr site (http://www.flickr.com/photos/hnpat). 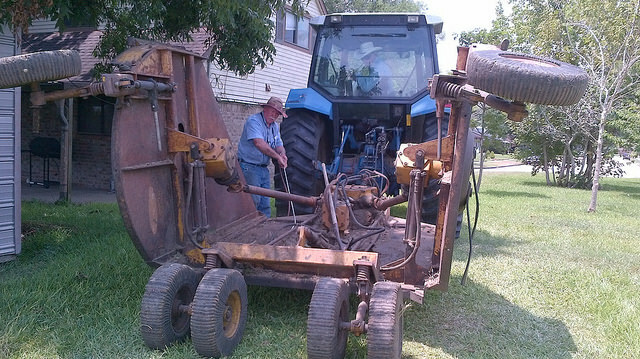 Photos of (a)Dan Shepherd, age 84 (father of Stormy Shepherd whom Glenn contracted to mow the prairie) mowing the Deer Park Prairie and (b)Glenn sweeping off the mower. DPP mowed. Unmowed area to the right.